Don’t add pain to your life. Experience a non-invasive life. Just turn on your device. No blood, no pricking, no pain. Years of development and thousands of people helped us to create HELO EXTENSE. Finally we can deliver a quick, non-invasive sugar trend measurement using photoplethysmogram (PPG) data from your blood microcirculatory system. Directly from your finger, but with no need to prick it. Just insert it into your HELO EXTENSE. 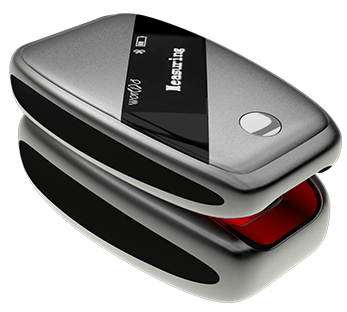 HELO EXTENSE is a new and innovative product range powered by WOR(l)D. Technology for the masses, thought for the innovation: now you can monitor your blood sugar trend, non-invasively. Sugar trend monitoring is a useful practice for those who want to monitor their sugar levels over time. The traditional measurement methods involve the use of invasive and expensive technologies that are often complicated (and sometimes painful) to perform. 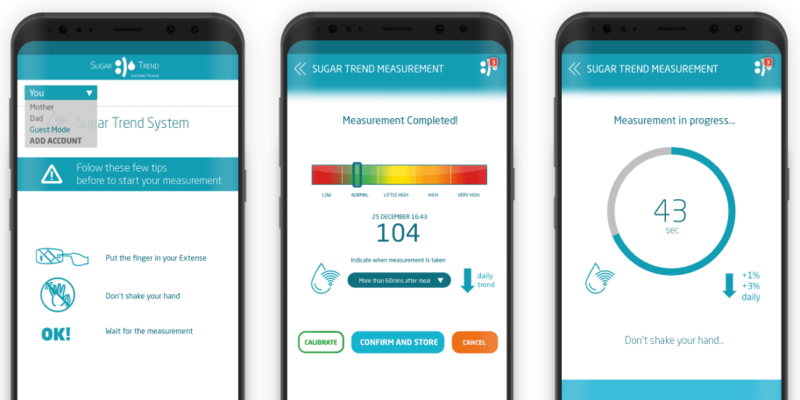 The most Sesning Technology in the Market allows you to perform a complete non-invasive approach to monitor your sugar trend. Analyze and report your data, keeping track of your levels, day by day. 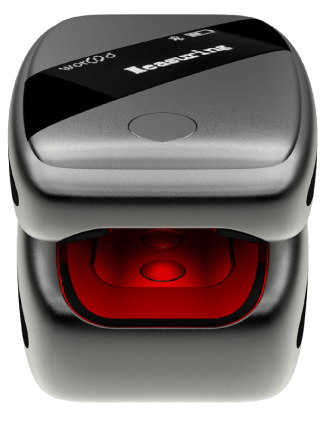 Today, HELO EXTENSE devices using SUGAR TREND software can non-invasively measure and immediately present blood sugar levels on a smartphone. Don’t add pain in your life. Just turn on your EXTENSE, pair it with your mobile phone, download one of the compatible apps that you can find on the HELOAPPSTORE.COM and that’s it. Taking a measurement is fast, painless and simple - wherever you are. Just insert your finger into the HELO EXTENSE, wait a few moments and read your SUGAR TREND level on your smartphone. Even if you haven’t a disease, keep controlled your sugar trend is a very positive attitude and behaviour. And with a compact, lightweight, essential and cool devices, it becomes trendy. Changes in your Health condition, your lifestyle and in your General Wellbeing condition is a process that is not happening overnight, however people that have used constantly and diligently. Try our SmartLife solution to have experienced a tangible, evident and measurable result just after the first months.